Our two production locations ensure secure procedures and processes which meet the high standards of our clients in the automobile industry. This applies to products which we develop on site and to our Electronic Manufacturing Service (EMS), which we use in taking on contract manufacturing and contract assembly. We live up to our claims of fault-free production through efficient logistics, modern machinery and a total process monitoring system. It is accomplished by our dedicated and well-trained staff with a work philosophy which is based on the principles of continuous improvement. Flexible working models allow us to adapt production capacities with ease right up to production; and this is possible around the clock, 7 days a week. During the procurement stage we draw on an international network of suppliers whose quality criteria are characterised by high demands. This ensures economical and traceable quality. 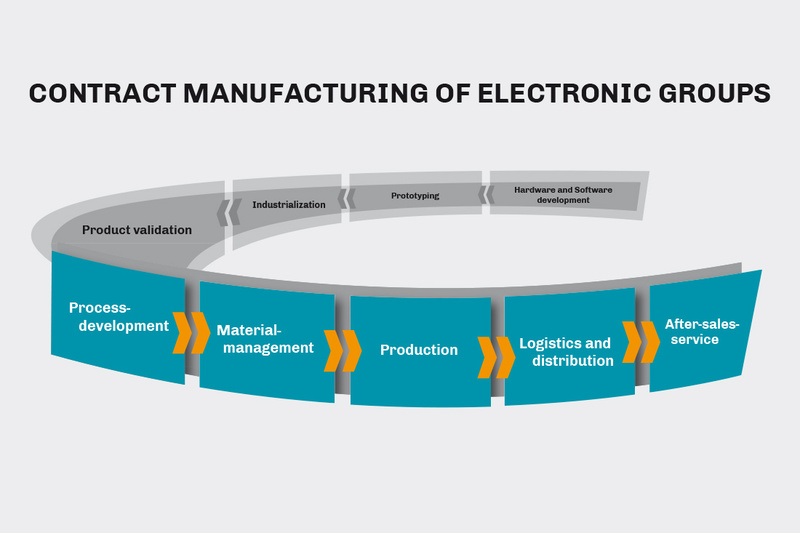 The traceability of the products via all process steps is ensured through the individual identification of the individual assembly and attribution of the component batches used. Connection of the test systems and test steps with a central error database. Comprehensive test planning, development of own test devices and transparent test equipment management ensure consistent manufacturing quality based on standardised and client-specific quality norms. Electronics Manufacturing Services (EMS) is a rapidly growing segment in the electronics industry. Helbako is an excellent order producer and strategic partner in the domain of sophisticated electronics. Rigorously involved in quality management on behalf of our clients, we accomplish outsourced development and manufacturing processes just like an external site. 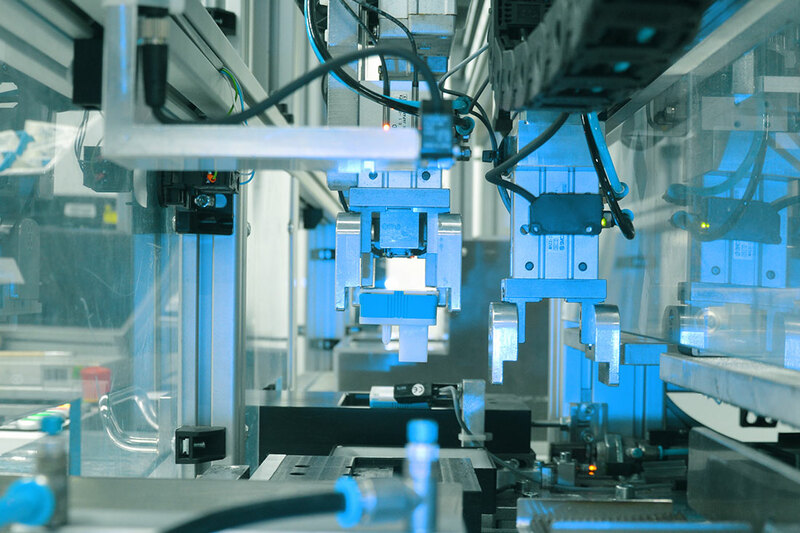 Secured manufacturing processes from the beginning: we consider your needs in terms of technology and process flow, test depth and efficiency including standard-compliant documentation of all test processes. Here you can download our brochure on contract manufacturing. With two high-output sites, we are your electronics supplier with capacities extending from small series up to mass production in the millions. Supply plans according to your specifications, packaging in your design and worldwide distribution in your name: products that we produce for you are also products that we deliver to you, just as you – and your customers – want it. As a medium-size provider, we also naturally perform all accompanying measures with a focus on commitment and responsibility. By doing this we extend your value chain, right up until the point of the satisfied client.